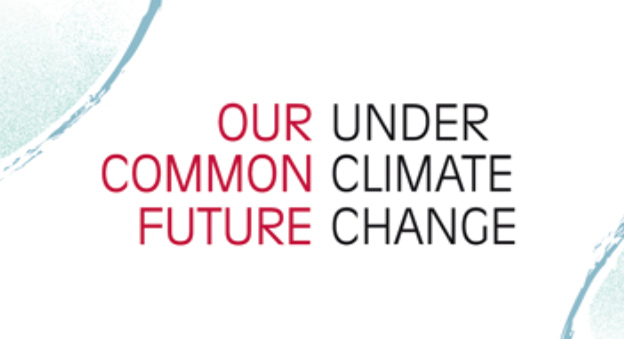 The International Scientific Conference “Our Common Future under Climate Change” will take place 7-10 July 2015, at UNESCO, in Paris, France. Gathering more than 2000 this 4-day conference is an important arena for discussions ahead of COP21. Building on the findings of the 5th Assessment Report of the IPCC this conference will situate climate change in a broader context of global change and address consequences and solutions for change. The main objectives of the conference is to provide state-of-the-art scientific knowledge on climate change; explore the wide range of pathways combining climate change mitigation and adaptation, sustainable development and equity; and assess the potential for evidence based solutions to climate change challenges. The conference is organized under the umbrella of ICSU, Future Earth, UNESCO and major French research institutions, with the support of the French Government. The conference program can be viewed here. Karen O´Brien will be delivering a keynote on “Climate Change: A Challenge in Managing Risks”, July 8. Read more about the conference on the conference webpage. ⇐ Is it Time for a Quantum Leap?